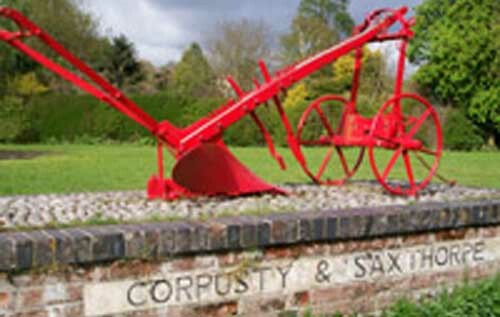 At a public referendum on 7 March, 91% of residents of Corpusty and Saxthorpe voted to adopt the neighbourhood plan written by members of the local parish council. With a turnout of nearly 40%, 224 votes were cast, with 203 in favour and 21 against. North Norfolk District Council is expected to formally “make” the document part of the statutory development plan for North Norfolk. Once approved, the plan will be a key consideration in determining future planning applications in the area. The plan also protects “green space’ within the village, protects views of the countryside, and redefines the village settlement boundary to allow some infill housing within the development area and protect the surrounding countryside. The aim is to produce more housing for young families to encourage local employment, and to protect the future of the school, the pub and local businesses. Three areas have been designated for new development.